Come quick to see this rare find! A garden level condo with screened porch overlooking a private wooded yard! New cabinets in kitchen, new carpeting, updated light fixtures, hardwood flooring and neutral decor make this the perfect place to call home! 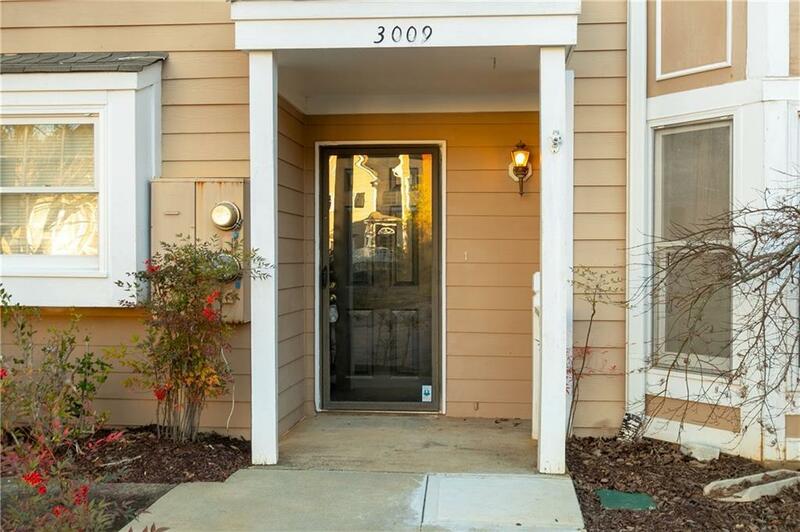 Perfect location convenient to GA 400, Avalon, downtown Alpharetta, Big Creek Greenway, shopping and services! Directions: Ga 400n, Exit 10, Old Milton Parkway, Turn Right. Make A U-Turn At Vista Forest Drive, 2nd Right Is Camden Pond Subdivision. Home Is On The Right.